Things that we dont want any longer can be called rubbish, trash, junk or garbage. What do we do with it? What happens to it at your house? Do you recycle it? 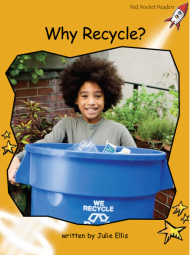 Recycling means reusing something that would otherwise be thrown away. What things could we recycle from our rubbish?